A Liverpool local charity is the beneficiary of £8,580 raised by the regional branch of a global finance education professional body. 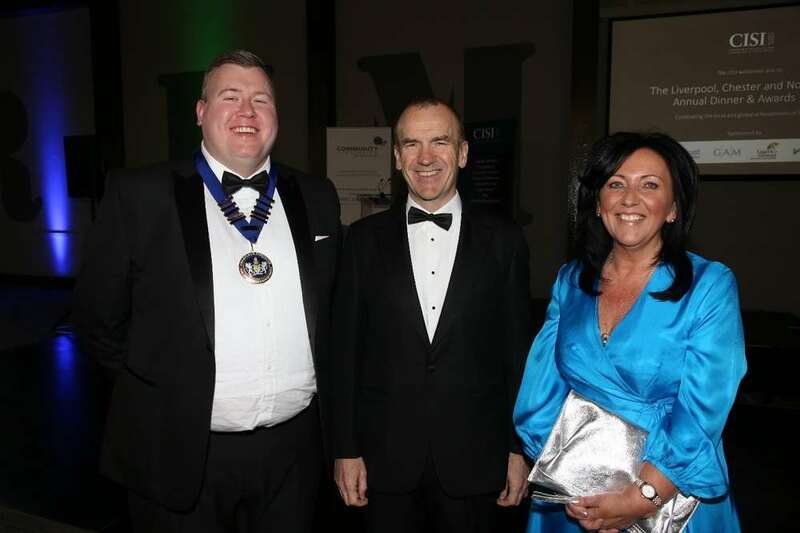 The Community Foundation for Merseyside, which promotes local giving to address local disadvantage, was the chosen charity for the Liverpool branch of the Chartered Institute for Securities & Investment (CISI) recent annual dinner. The event attracted over 200 attendees and was held within the unique setting of the Titanic Hotel, Stanley Dock. Key speaker for the night was Sir Terry Leahy, who was appointed Chief Executive of Tesco PLC in March 1997 and retired from this position in March 2011. He received a Knighthood for services to food retailing in the 2002 New Year Honours and in the same year was made a Freeman of the City of Liverpool. James Charlton, Charlton FCSI and CISI Liverpool branch President said: “The 2018 Liverpool, Chester and North Wales Branch Dinner was a resounding success and we were delighted to welcome home one of our own in Sir Terry Leahy. Sir Terry entertained and inspired our guests by giving an insight into his personal and professional achievements – from telling the story of his journey from a council estate in Liverpool to the Boardroom at Tesco to sharing some of his leadership principles that he learnt along the way.